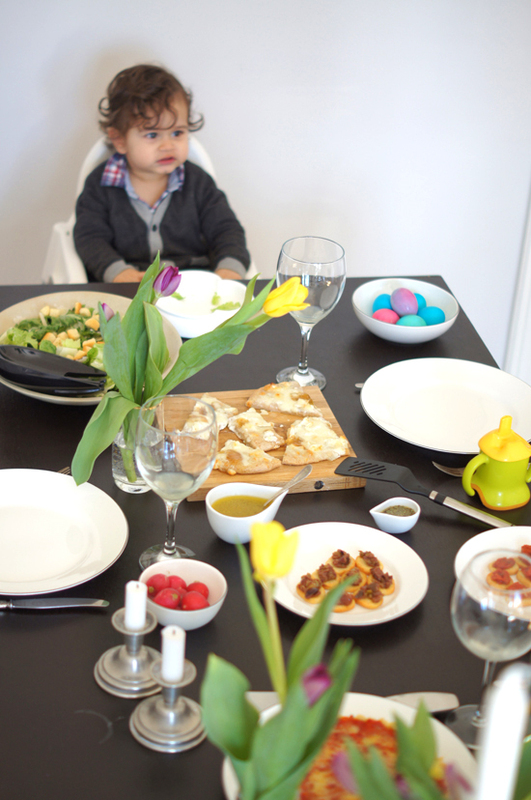 This weekend I put together a little spring brunch for Easter. My sister came over, the sun came out, and we had a nice family lunch together. I wanted to keep it simple, so I had planned a menu that I could mostly make ahead of time. As it happened, I didn’t make anything ahead of time, but it was all easy enough to pull together in a couple of hours anyway. We had my mum’s Tomato Tart, Goat Cheese & Fig Pizza and a Lemony Golden Caesar Sallad with Rosemary Oil. 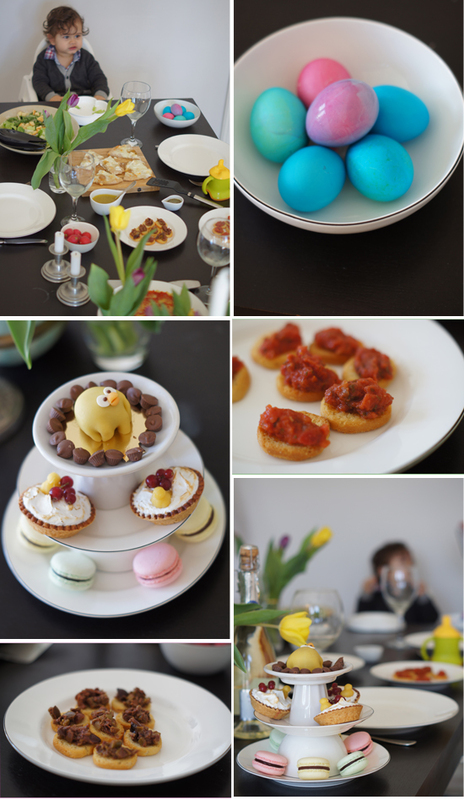 We also had some ready-made crostinis with bruschetta mix and tapenade (from Trader Joe’s) and for dessert, rhubarb tartlets and raspberry, passion fruit and mint macarons from our closest bakery, Xoko. To drink we served white wine and a non-alcoholic sparkling wine with lime juice. It all turned out very well and is definitely an easy menu to pull together for a light lunch! Recipes to come throughout the week!